drive has an x-shaped slot that accepts a driver.? Flat head is cone shaped for use in countersunk holes and has a flat top that fits flush with the mated surface. 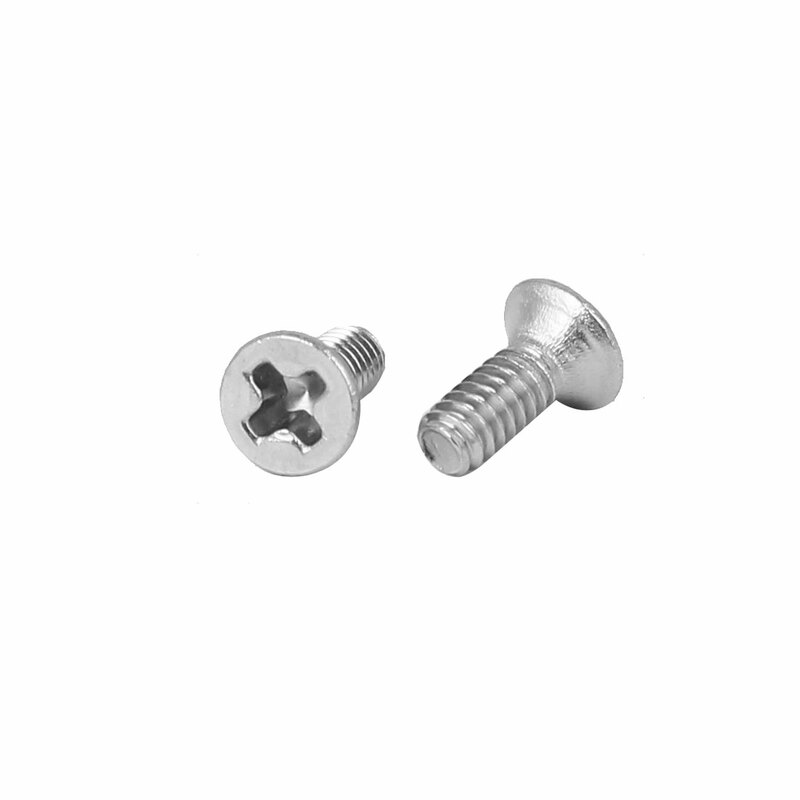 Machine screws are used with nuts or screwed directly into a threaded receptacle to fasten metal parts together. Measured from the underside of the head to the tip of the screw to obtain fastener length. If nuts are needed, use with nuts of the same finish and threading for proper fit. Weight: 12g; Head Size: 3.6 x 1.3mm / 0.14" x 0.05"(D * T); Bit Driver Size: 2.2mm / 0.09"